MR PAUL: Mr. Chairman: It is an honor to have Secretary of State Colin Powell here to brief the committee on the progress of the war on terrorism. I strongly support the administration’s efforts to seek out and punish those who attacked the United States on 9/11 and those who supported and assisted them. I fully recognize the difficult challenges inherent in this effort, and that no real solution will be easily attained. With that said, I must admit that several of the secretary’s points have troubled me. My idea of national defense is minding our own business, being strong, and making sure our borders are secure. After 9/11, we had to go to Germany and ask them for help for AWACS airplanes to patrol our shores. I understand our ports are not necessarily secure, and yet we have Coast Guard cutters down in Colombia and in the Mediterranean Sea. I think if we learn anything it is that we ought to work harder to protect our country and not make us so vulnerable, yet we continue along this way. I am sure that supporters of this bill are well-intentioned, but judging from past experience this approach will fail to improve the lives of the average Afghan citizen. Though many will also attempt to claim that this bill is somehow about the attacks of 9/11, let’s not fool ourselves: nation-building and social engineering are what this bill is about. Most of the problems it seeks to address predate the 9/11 attacks and those it purports to assist had nothing to do with those attacks. We are being dragged into a civil war in Colombia that has nothing to do with us and nothing to do with international terrorism. Those who want to send American money and troops into the Colombian quagmire do not want debate, because their claims that a 38 year civil war somehow has something to do with 9/11 ring hollow. Social Security numbers are used to monitor our daily activities. The numbers are given at birth, and then are needed when we die and for everything in between. This allows government record keeping of monstrous proportions, and accommodates the thugs who would steal others’ identities for criminal purposes. This invasion of privacy has been compounded by the technology now available to those in government who enjoy monitoring and directing the activities of others. Loss of personal privacy was a major problem long before 9/11. That’s why the post-9/11 analysis and subsequent legislation are crucial to the survival of those institutions that made America great. We now are considering a major legislative proposal dealing with this dilemma- the new Department of Homeland Security- and we must decide if it truly serves the interests of America. Understanding the real reason why we were attacked is crucial to crafting a proper response. I know of no one who does not condemn the attacks of 9/11. Disagreement as to the cause and the proper course of action should be legitimate in a free society such as ours. If not, we’re not a free society. This, for me, is not a reactive position coming out of 9/11, but rather is an argument I’ve made for decades, claiming that meddling in the affairs of others is dangerous to our security and actually reduces our ability to defend ourselves. This in no way precludes pursuing those directly responsible for the attacks and dealing with them accordingly- something that we seem to have not yet done. We hear more talk of starting a war in Iraq than in achieving victory against the international outlaws that instigated the attacks on 9/11. Rather than pursuing war against countries that were not directly responsible for the attacks, we should consider the judicious use of Marque and Reprisal. It’s a definite benefit for so many to recognize that our $40 billion annual investment in intelligence gathering prior to 9/11 was a failure. Now a sincere desire exists to rectify these mistakes. That’s good, unless, instead of changing the role for the CIA and the FBI, all the past mistakes are made worse by spending more money and enlarging the bureaucracies to do the very same thing without improving their efficiency or changing their goals. Unfortunately that is what is likely to happen. I’m sure that our intelligence agencies had the information available to head off 9/11, but bureaucratic blundering and turf wars prevented the information from being useful. But, the basic principle is wrong. City policeman can’t and should not be expected to try to preempt crimes. That would invite massive intrusions into the everyday activities of every law-abiding citizen. A noninterventionist foreign policy would go a long way toward preventing 9/11 type attacks upon us. The Department of Homeland Security would be unnecessary and the military, along with less bureaucracy in our intelligence- gathering agencies, could instead provide the security the new department is supposed to provide. A renewed respect for gun ownership and responsibility for defending one’s property would provide additional protection against potential terrorists. The United States remains vulnerable to terrorist attacks more than a year after the tragedy of 9/11. Our borders remain porous - a virtual revolving door and welcome mat for those who would seek to harm us. This was never more evident than when news broke some time ago that the Immigration and Naturalization Service had actually renewed the visas for several of the 9/11 hijackers after the attack had taken place. We cannot prevent terrorism if we cannot keep terrorists out of our country. When the PATRIOT Act was passed, it was in the passions following 9/11, and that bill should have never been passed. It was brought up carelessly, casually, in a rapid manner. The bill that had been discussed in the Committee on the Judiciary was removed during the night before we voted. The full text of this bill was very difficult to find. I am convinced that very few Members were able to review this bill before voting. That bill should have never passed. We certainly should continue to maintain the sunset provisions. But that is a long way off, and we should be starting to reform and improve this particular piece of legislation. This is our first chance to do so. Yet it was in the atmosphere of post- 9/11 that so many were anxious to respond to what they perceived as demands by the people to do something. But just to do something, if you are doing the wrong thing, what good is it? You are doing more harm. It took hundreds, if not thousands, of years to develop this concept that governments do not have the right to break in without the proper procedures and without probable cause. And yet we threw that out the window in this post-9/11 atmosphere, and we gave away a lot. Numerous other press reports detail important assistance Syria has given the US after 9/11. If Syria is providing assistance to the US in tracking these people down - any assistance - passing this bill can only be considered an extremely counterproductive development. Does anyone here care to guess how much assistance Syria will be providing us once this bill is passed? Can we afford to turn our back on Syria’s assistance, even if it is not as complete as it could be? I opposed our action against Iraq for two main reasons. I sincerely believed that our national security was not threatened and I did not believe that Saddam Hussein’s regime was involved in the attack on the United States on 9/11. I believe what we have learned since the intervention has supported my view. Meanwhile, while our troops are trying to police the border between Syria and Iraq our own borders remain as porous as ever. Terrorists who entered our country could easily do so again through our largely un-patrolled borders. While we expend American blood and treasure occupying a country that was not involved in the attack on the US, those who were responsible for the attack most likely are hiding out in Pakistan - a military dictatorship we are now allied with and to which this supplemental sends some $200 million in loan guarantees. There is plenty of blame to go around for the mistakes made by going to war in Iraq, especially now that it is common knowledge Saddam Hussein told the truth about having no weapons of mass destruction, and that Al Qaida and 9/11 were in no way related to the Iraqi government. The president reluctantly has agreed to support an independent commission to review our intelligence gathering failures, and that is good. Cynics said nothing much would be achieved by studying pre-9/11 intelligence failures, but it looks like some objective criticisms will emerge from that inquiry. We can hope for the best from this newly appointed commission. We are constantly admonished to remember the lessons of 9/11. Of course the real issue is not remembering, but rather knowing what the pertinent lesson of that sad day is. The 9/11 Commission soon will release its report after months of fanfare by those whose reputations are at stake. The many hours and dollars spent on the investigation may well reveal little we don’t already know, while ignoring the most important lessons that should be learned from this egregious attack on our homeland. Common sense already tells us the tens of billions of dollars spent by government agencies, whose job it is to provide security and intelligence for our country, failed. A full-fledged investigation into the bureaucracy may help us in the future, but one should never pretend that government bureaucracies can be made efficient. It is the very nature of bureaucracies to be inefficient. Spending an inordinate amount of time finger pointing will distract from the real lessons of 9/11. Which agency, which department, or which individual receives the most blame should not be the main purpose of the investigation. Everyone on the Commission assumes that 9/11 resulted from a lack of government action. No one in Washington has raised the question of whether our shortcomings, brought to light by 9/11, could have been a result of too much government. Possibly in the final report we will discuss this, but to date no one has questioned the assumption that we need more government and, of course — though elusive — a more efficient one. The failure to understand the nature of the enemy who attacked us on 9/11, along with a pre-determined decision to initiate a pre-emptive war against Iraq, prompted our government to deceive the people into believing that Saddam Hussein had something to do with the attacks on New York and Washington. The majority of the American people still contend the war against Iraq was justified because of the events of 9/11. These misinterpretations have led to many U.S. military deaths and casualties, prompting a growing number of Americans to question the wisdom of our presence and purpose in a strange foreign land 6,000 miles from our shores. Failing to understand why 9/11 happened and looking for a bureaucratic screw-up to explain the whole thing — while using the event to start an unprovoked war unrelated to 9/11 — have dramatically compounded the problems all Americans and the world face. Evidence has shown that there was no connection between Saddam Hussein and the guerilla attacks on New York and Washington, and since no weapons of mass destruction were found, other reasons are given for invading Iraq. The real reasons are either denied or ignored: oil, neo-conservative empire building, and our support for Israel over the Palestinians. It’s not whether the Commission investigation of the causes of 9/11 is unwarranted; since the Commissioners are looking in the wrong places for answers, it’s whether much will be achieved. There are two other lessons that must be learned if we hope to benefit by studying and trying to explain the disaster that hit us on 9/11. If we fail to learn them, we cannot be made safer and the opposite is more likely to occur. How does this apply to the 9/11 tragedies? The airline owners accepted the rules of the inner city rather than those of rural America. They all assumed that the government was in charge of airline security—and unfortunately, by law, it was. Not only were the airlines complacent about security, but the FAA dictated all the rules relating to potential hijacking. Chemical plants or armored truck companies that carry money make the opposite assumption, and private guns do a reasonably good job in providing security. Evidently we think more of our money and chemical plants than we do our passengers on airplanes. The complacency of the airlines is one thing, but the intrusiveness of the FAA is another. Two specific regulations proved to be disastrous for dealing with the thugs who, without even a single gun, took over four airliners and created the havoc of 9/11. Both the prohibition against guns in cockpits and precise instructions that crews not resist hijackers contributed immensely to the horrors of 9/11. Unfortunately, the biggest failure of our government will be ignored. I’m sure the Commission will not connect our foreign policy of interventionism—practiced by both major parties for over a hundred years—as an important reason 9/11 occurred. Instead, the claims will stand that the motivation behind 9/11 was our freedom, prosperity, and way of life. If this error persists, all the tinkering and money to improve the intelligence agencies will bear little fruit. Our attention, all too often, was and still is directed outward toward distant lands. Now a significant number of our troops are engaged in Afghanistan and Iraq. We’ve kept troops in Korea for over 50 years, and thousands of troops remain in Europe and in over 130 other countries. This twisted philosophy of ignoring national borders while pursuing an empire created a situation where Seoul, Korea, was better protected than Washington, DC, on 9/11. These priorities must change, but I’m certain the 9/11 Commission will not address this issue. I would like to point out one statistic. One year prior to 9/11 there were 750,000 arrests of people who used marijuana; there was one arrest for a suspect that was committing terrorism. Now, that, to me, is a misdirected law enforcement program that we could help address here by at least allowing the States to follow the laws that they already have on the books. The whole notion that the purpose of providing freedom and liberty to this country is that we have to give up some, I do not believe is necessary. It is never necessary to give up freedom to preserve freedom. I do think we made some serious mistakes. 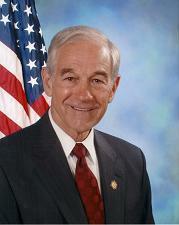 We made a mistake in passing the PATRIOT Act under conditions of an emergency and under the conditions of post-9/11. We did not do a very good job at Tora Bora. We failed to find the individuals responsible for 9/11 and we have not concentrated on the people who committed this crime. Instead, we have decided to invade and occupy a foreign country rather than protecting and providing security here, at home providing freedom for our people and more security for this country. This legislation is an endorsement of the policy of restricting freedoms at home that I have consistently opposed, including praise for the creation of the bloated and impotent Department of Homeland Security, the liberty-killing PATRIOT Act, and many other futile measures. It praises the notoriously ineffective air marshal program while avoiding altogether one of the most important lessons of the September 11, 2001 tragedy; The entire disaster could have been avoided with just one gun in the hands of each of the pilots. Four guns could have prevented September 11, 2001, but we are no closer to arming pilots than we were on September 10, 2001. Shortly after the attacks, I introduced a bill to allow pilots to be armed. Eventually, a version of that bill was passed, but pilots are still not armed. I also introduced several other bills to deal with the attacks of 9/11, protect us against future attacks, and do so without sacrificing our liberty. Mr. Speaker, the 9/11 Recommendations Implementation Act (HR 10) is yet another attempt to address the threat of terrorism by giving more money and power to the federal bureaucracy. Most of the reforms contained in this bill will not make America safer, though they definitely will make us less free. HR 10 also wastes American taxpayer money on unconstitutional and ineffective foreign aid programs. Congress should make America safer by expanding liberty and refocusing our foreign policy on defending this nation’s vital interests, rather than expanding the welfare state and wasting American blood and treasure on quixotic crusades to “democratize” the world. The foreign policy provisions of HR 10 are similarly objectionable and should be strongly opposed. I have spoken before about the serious shortcomings of the 9/11 Commission, upon whose report this legislation is based. I find it incredible that in the 500-plus page report there is not one mention of how our interventionist foreign policy creates enemies abroad who then seek to harm us. Until we consider the root causes of terrorism, beyond the jingoistic explanations offered thus far, we will not defeat terrorism and we will not be safer. Since 9/11, a lot of energy and money have gone into efforts ostensibly designed to make us safer. Many laws have been passed. Many dollars have been spent. Whether or not we are better off is another question. Love of security, unfortunately, all too often vanquishes love of liberty. Unchecked fear of another 9/11-type attack constantly preoccupies our leaders and most of our citizens and drives the legislative attack on our civil liberties. It is frightening to see us doing to ourselves what even bin Laden never dreamed he could accomplish with his suicide bombers. We are obsessed with passing new laws to make our country safe from a terrorist attack. This confusion about the cause of the 9/11 attacks, the fear they engendered, and the willingness to sacrifice liberty prompts many to declare their satisfaction with the inconveniences and even humiliation at our Nation’s airports. There are always those in government who are anxious to increase its power and authority over the people. Strict adherence to personal privacy annoys those who promote a centralized state. It is no surprise to learn that many of the new laws passed in the aftermath of 9/11 had been proposed long before that date. The attacks merely provided an excuse to do many things previously proposed by dedicated statists. All too often government acts perversely, promising to advance liberty while actually doing the opposite. Dozens of new bills passed since 9/11 promise to protect our freedoms and our securities. In time we will realize there is little chance our security will be enhanced or our liberties protected. The powerful and intrusive TSA certainly will not solve our problems. Without a full discussion, greater understanding, and ultimately a change in our foreign policy that incites those who declare war against us, no amount of patdowns at airports will suffice. The airplane mess has been compounded by other problems which we fail to recognize. Most assume that government has the greatest responsibility for making private aircraft travel safe. But this assumption only ignores mistakes made before 9/11, when the government taught us to not resist, taught us that airline personnel could not carry guns, and that the government would be in charge of security. Airline owners became complacent and dependent on the government. After 9/11, we moved in the wrong direction by allowing total government control and political takeover of the TSA, which was completely contrary to the proposition that private owners have the ultimate responsibility to protect their customers. On 9/11 we had a grand total of 14 aircraft to protect the entire U.S. mainland, all of which proved useless that day. We have an annual DOD budget of over $400 billion, most of which is spent overseas in over 100 different countries. Tragically, on 9/11 our Air Force was better positioned to protect Seoul, Tokyo, Berlin and London than it was to protect Washington, D.C. and New York City. Moreover, our ill advised presence in the Middle East and our decade-long bombing of Iraq served only to incite the suicidal attacks of 9/11. Before 9/11 our CIA ineptly pursued bin Laden, whom the Taliban was protecting. At the same time, the Taliban was receiving significant support from Pakistan, our trusted ally that received millions of dollars from the United States. We allied ourselves both with bin Laden and Hussein in the 1980s, only to regret it in the 1990s. And it is safe to say we have used billions of U.S. dollars in the last 50 years pursuing this contradictory, irrational, foolish, costly and very dangerous foreign policy. These economic laws will limit our ability to pursue our foreign interventions no matter how well intentioned and “successful” they may seem. The Soviet system collapsed of its own weakness. I fear an economic collapse here at home much more than an attack by a foreign country. Above all, the greatest concern should be for the systematic undermining of our personal liberties since 9/11, which will worsen with an ongoing foreign war and the severe economic problems that are coming. Mr. Chairman, I rise in strong support of this amendment. I do not see any necessity for the amendment. It was put in in the period of time after 9/11 where a lot of people were very frightened; and I think, quite frankly, that we as a Congress overreacted. Mr. Speaker, more than half of the American people now believe that the Iraqi war has made the U.S. less safe. This is a dramatic shift in sentiment from 2 years ago. Early support for the war reflected a hope for a safer America, and it was thought to be an appropriate response to the 9/11 attacks. The argument was that the enemy attacked us because of our freedom, our prosperity, and our way of life. It was further argued that it was important to engage the potential terrorists over there rather than here. Many bought this argument and supported the war. That is now changing. Religious beliefs are less important than supposed. For instance, the Tamil Tigers in Sri Lanka, a Marxist secular group, are the world’s leader in suicide terrorism . The largest Islamic fundamentalist countries have not been responsible for any suicide terrorist attack. None have come from Iran or the Sudan. Until the U.S. invasion of Iraq, Iraq never had a suicide terrorist attack in all of its history. Between 1995 and 2004, the al Qaeda years, two-thirds of all attacks came from countries where the U.S. had troops stationed. Iraq’s suicide missions today are carried out by Iraqi Sunnis and Saudis. Recall, 15 of the 19 participants in the 9/11 attacks were Saudis. Mr. PAUL. Mr. Speaker, supporters of the preemptive war against Iraq say it was justified by the unprovoked 9/11 attacks. They claim that Muslim hatred for our democracy, freedom, Western values, and prosperity inspired the 19 suicide terrorists who attacked us on that dreadful day. But proponents of the war insist that our presence in Iraq is not what motivates al Qaeda to attack us, since we had no troops on Iraqi soil on 9/11; and yet al Qaeda attacked us anyway. We should look at the facts if we want to understand why a growing number of Iraqis and Muslims worldwide are now motivated to join the insurgents in a guerrilla resistance that includes suicide terrorism. It is true that there were no U.S. troops in Iraq on 9/11, but it is also true that Saddam Hussein and Iraq had nothing to do with that attack. This plan for remaking the Middle East has been around for a long time. Just as 9/11 served the interests of those who longed for changes in Iraq, the sensationalism surrounding Hariri’s death is being used to advance plans to remove Assad. The statement that should scare all Americans and the world is the assurance by Secretary Rice that the President needs no additional authority from Congress to attack Syria. She argues that authority already has been granted by the resolutions on 9/11 and Iraq. This is not true, but if Congress remains passive to the powers assumed by the executive branch, it will not matter. As the war spreads, the only role for the Congress will be to provide funding lest they be criticized for not supporting the troops. In the meantime, the Constitution and our liberties here at home will be further eroded as more Americans die. The statement that should scare all Americans (and the world) is the assurance by Secretary Rice that the President needs no additional authority from Congress to attack Syria. She argues that authority already has been granted by the resolutions on 9/11 and Iraq. This is not true, but if Congress remains passive to the powers assumed by the executive branch it won’t matter. As the war spreads, the only role for Congress will be to provide funding lest they be criticized for not supporting the troops. In the meantime, the Constitution and our liberties here at home will be further eroded as more Americans die. It is now common knowledge that the immediate reaction of the administration after 9/11 revolved around how they could connect Saddam Hussein to the attacks to justify an invasion and overthrow of his government. Even with no evidence of any connection to 9/11 or evidence of weapons of mass destruction, public and congressional support was generated through distortions and flat-out misrepresentations of the facts to justify overthrowing Saddam Hussein. It is not likely that maintaining dollar supremacy was the only motivating factor for the war against Iraq nor for agitating against Iran. Though the real reasons for going to war are complex, we now know the reasons given before the war started, like the presence of weapons of mass destruction and Saddam’s connection to 9/11, were false. But then again our failure to find Osama bin Laden and destroy his network did not dissuade us from taking on Iraqis in a war totally unrelated to 9/11. Concern for pricing oil only in dollars helps explain our willingness to drop everything and teach Saddam Hussein a lesson for his defiance in demanding euros for oil. Mr. PAUL. Madam Speaker, it has been 3 years since the U.S. launched its war against Saddam Hussein and his weapons of mass destruction. Of course, now almost everybody knows there were no weapons of mass destruction and Saddam Hussein posed no threat to the United States. Though some of our soldiers serving in Iraq still believe they are there because Saddam Hussein was involved in 9/11, even the administration now acknowledges that there was no connection. Since 2001, we have spent over $300 billion and occupied two Muslim nations, Afghanistan and Iraq. We are poorer, but certainly not safer, for it. We invaded Afghanistan to get Osama bin Laden, the ringleader behind 9/11. This effort has been virtually abandoned. Even though the Taliban was removed from power in Afghanistan, most of the country is now occupied and controlled by warlords who manage a drug trade bigger than ever before. Removing the Taliban from power in Afghanistan actually served the interests of Iran, the Taliban’s arch- enemy, more than our own. Although a large percentage of the public now rejects the various arguments for the Iraq war 3 years ago, they were easily persuaded by the politicians and media to fully support the invasion. Now, after 3 years of terrible pain for so many, even the troops are awakening from their slumber and sensing the fruitlessness of our failing effort. Seventy-two percent of our troops now serving in Iraq say it is time to come home. Yet, the majority still cling to the propaganda that they are there because of the 9/11 attacks, something even the administration has ceased to claim. Propaganda is pushed on our troops to exploit their need to believe in a cause that is worth the risk to life and limb. First, Iran doesn’t have a nuke and it is nowhere close to getting one, according to the CIA. If they did have one, using it would guarantee almost instantaneous annihilation by Israel and the United States. Hysterical fear of Iran is way out of proportion to reality. With a policy of containment, we stood down and won the Cold War against the Soviets and their 30,000 nuclear weapons and missiles. If you are looking for a real kook with a bomb to worry about, North Korea would be high on the list. Yet we negotiate with Kim Jong Il. Pakistan has nukes and was a close ally of the Taliban up until 9/11. Pakistan was never inspected by the IAEA as to their military capability. Yet we not only talk to her, we provide economic assistance, though someday Musharraf may well be overthrown and a pro-al Qaeda government put in place. We have been nearly obsessed with talking about regime change in Iran, while ignoring Pakistan and North Korea. It makes no sense and it is a very costly and dangerous policy. But attacking and intimidating other nations, the way we go at it now, literally backfires on us. What is it doing to the dissidents, those who would love to overthrow the Islamic radicals in Iran right now? It unifies them. Did we become unified in this country when we were attacked on 9/11? Do you think Republicans and Democrats were divided on 9/11 and 9/12? No, it brings them together. So this policy does exactly the opposite of what you pretend that you want to do, and that is encourage those people who don’t like their government. But by doing it this way, you literally are doing the very opposite. You can’t deny it. There are more radicals today than there were 2 or 3 years ago. And the reason why I am worried about this is we are now getting the information about the reaction to 9/11. 9/11 occurred, and the immediate response by many of our leaders and the administration said, let’s go to Iraq. People would say, well, why Iraq? Well, we have been planning on it all along. This is the opportunity. You know, when Osama bin Laden responded to why, he had a list of reasons on why he encouraged or directed the attack on 9/11. And the one thing that he listed we shouldn’t ignore, because as bad as that individual is, and as violent as he is, nobody has ever proven he tells lies. Nobody has ever proven this. Nobody says he is a liar. So we ought to listen to what he says. Both immediately after 9/11 and especially at the time of our invasion in Iraq in 2003, Iran particularly, partially out of fear and realism, honestly sought reconciliation and offered to help the U.S. in its battle against al Qaeda. They were rebuked outright. We were told we needed to go into Iraq because our old ally, Saddam Hussein, had weapons of mass destruction. Yet no weapons of mass destruction were found. We were told we needed to occupy Iraq to remove al Qaeda, yet al Qaeda was nowhere to be found. And now it is admitted it had nothing to do with 9/11. Osama bin Laden has expressed sadistic pleasure with the invasion in Iraq and was surprised that we served his interests above and beyond his dreams on how we responded after the 9/11 attacks. His pleasure comes from our policy of folly, getting ourselves bogged down in the middle of a religious civil war 7,000 miles from home that is financially bleeding us to death. Total costs now are recently estimated to exceed $2 trillion. His recruitment of Islamic extremists has been greatly enhanced by our occupation of Iraq. The catch-all phrase the “war on terrorism” in all honesty has no more meaning than if one wants to wage a war against criminal gangsterism. Terrorism is a tactic. You can’t have a war against a tactic. It is deliberately vague and nondefinable in order to justify and permit perpetual war anywhere and under any circumstances. Don’t forget, the Iraqis and Saddam Hussein had nothing to do with any terrorist attack against us, including that on 9/11. The record since September 11th is dismal. Respect for liberty has rapidly deteriorated. Many of the new laws passed after 9/11 had, in fact, been proposed long before that attack. The political atmosphere after that attack simply made it more possible to pass such legislation. The fear generated by 9/11 became an opportunity for those seeking to promote the power of the state domestically, just as it served to falsely justify the long plan for invasion of Iraq. The accelerated attacks on liberty started quickly after 9/11. Within weeks, the PATRIOT Act was overwhelmingly passed by Congress. Though the final version was unavailable up to a few hours before the vote, no Member had sufficient time. Political fear of not doing something, even something harmful, drove the Members of Congress to not question the contents, and just voted for it. A little less freedom for a little more perceived safety was considered a fair trade-off, and the majority of Americans applauded. Two wrongs do not make a right. Two wrongs make it doubly wrong. Sacrifice of our personal privacy has been ongoing for decades, but has rapidly accelerated since 9/11. Before 9/11 the unstated goal of collecting revenue was the real reason for the erosion of our financial privacy. When nineteen suicidal maniacs attacked us on 9/11, our country became convinced that further sacrifice of personal and financial privacy was required for our security. Why should the American people continue to support a war that was justified by false information, since Saddam Hussein never aggressed against the United States, Iraq had nothing to do with 9/11, and Iraq had no weapons of mass destruction? What if some day it dawns on us that losing over 5,000 American military personnel in the Middle East since 9/11 is not a fair trade-off for the loss of nearly 3,000 American citizens – no matter how many Iraqi, Pakistani, and Afghan people are killed or displaced? But also, as a result of the policy that we have had in the Middle East, we have been perceived as being anti- Palestinian. This has not set well either. Since that time, of course, we havent backed off one bit. We had the Persian Gulf war, and then we had 9/11. Today it is said that were over there to protect our national security to go into Afghanistan. Well, its down to 100 al Qaedas in Afghanistan, and, quite frankly, the Afghan Government had nothing to do – they said they harbored the al Qaeda, and that is true, but do you think those 19 guys needed to do pushups in Afghanistan to come over here and do what they did? The real planning wasnt in Afghanistan. It was in Spain. It was in Germany. Where was the real training? The real training was in Florida. The training was in Florida, and the FBI had evidence at the time that they were being trained, and its totally ignored. And yet we are concentrating, we are still back to 9/11, fear of nuclear war. We have to go in, scare the people. Likewise, we are told that we have to “win” in Afghanistan so that al-Qaeda cannot use Afghan territory to plan further attacks against the US. We need to remember that the attack on the United States on September 11, 2001 was, according to the 9/11 Commission Report, largely planned in the United States (and Germany) by terrorists who were in our country legally. According to the logic of those who endorse military action against Afghanistan because al-Qaeda was physically present, one could argue in favor of US airstrikes against several US states and Germany! It makes no sense. The Taliban allowed al-Qaeda to remain in Afghanistan because both had been engaged, with US assistance, in the insurgency against the Soviet occupation. Any talk of spending restraints is now a thing of the past. Countless groups have descended on Washington with their hands out. As usual with any disaster, this crisis is being parlayed into an "opportunity," as one former big-spending member of congress phrased it. The economic crisis that started a long time before 9/11 has swollen the ranks of those now demanding federal handouts. One thing for sure (as a consequence of the recession and the 9/11 tragedy) is that big spending and deficits are alive and well. Even though we are currently adding to the national debt at the rate of $150 billion per year, most politicians still claim that Social Security is sound and hasn't been touched. At least the majority of American citizens are now wise enough to know better. The same is true of Pakistan, where General Musharaff seized power by force in a 1999 coup. The Clinton administration quickly accepted his new leadership as legitimate, to the dismay of India and many muslim Pakistanis. Since 9/11, we have showered Pakistan with millions in foreign aid, ostensibly in exchange for Musharaff’s allegiance against al Qaeda. Yet has our new ally rewarded our support? Hardly, as the Pakistanis almost certainly harbored bin Laden in the months following 9/11. In fact, more members of al Qaeda probably live within Pakistan than any other country today. Furthermore, North Korea recently announced its new nuclear capability, developed with technology sold to them by the Pakistanis. Yet somehow we remain friends with Pakistan, while Hussein, who has no connection to bin Laden and no friends in the Islamic fundamentalist world, is made a scapegoat. Washington politicians are once again seriously considering imposing a national identification card - and it may well become law before the end of the 108th Congress. The much-hailed 9/11 Commission report released in July recommends a federal identification card and, worse, a "larger network of screening points" inside the United States. Does this mean we are to have "screening points" inside our country where American citizens will be required to "show their papers" to government officials? It certainly sounds that way! As I have written recently, the 9/11 Commission is nothing more than ex-government officials and lobbyists advising current government officials that we need more government for America to be safe. Yet it was that same government that failed so miserably on September 11, 2001. Congress has embraced the 9/11 Commission report uncritically since its release in July. Now Congress is rushing to write each 9/11 Commission recommendation into law before the November election. In the same way Congress rushed to pass the PATRIOT Act after the September 11 attacks to be seen "doing something," it looks like Congress is about to make the same mistake again of rushing to pass liberty-destroying legislation without stopping to consider the consequences. Because it is so controversial, we may see legislation mandating a national identification card with biometric identifiers hidden in bills implementing 9/11 Commission recommendations. We have seen this technique used in the past on controversial measures. Second, enforce visa rules on those already in the country. Immigration officials must track visa holders and deport individuals who overstay their visas or otherwise violate U.S. law. This is especially important when we recall that some of the 9/11 terrorists had expired visas. The same is true of Pakistan, where General Musharaf seized power by force in a 1999 coup. The Clinton administration quickly accepted his new leadership as legitimate, to the dismay of India and many Muslim Pakistanis. Since 9/11, we have showered Pakistan with millions in foreign aid, ostensibly in exchange for Musharaf’s allegiance against al Qaeda. Yet has our new ally rewarded our support? Hardly. The Pakistanis almost certainly have harbored bin Laden in their remote mountains, and show little interest in pursuing him or allowing anyone else to pursue him. Pakistan has signed peace agreements with Taliban leaders, and by some accounts bin Laden is a folk hero to many Pakistanis. Are we better off with an enormous conglomerate of government agencies that purports to keep us safe? Certainly we are spending more money and getting less for it with the Department of Homeland Security. Perhaps now that the rush to expand government in response to the attacks of 9/11 is over, we can take a good look at what is working, what is making us safer, and what is not. If so, we will likely conclude that the Department of Homeland Security is too costly, too bloated, and too bureaucratic. Hopefully then we will refocus our efforts on an approach that doesn’t see more federal bureaucracy in Washington as the best way to secure the rest of the nation. Faced with dwindling support of the Iraq War, the warhawks are redoubling their efforts. They imply we are in Iraq attacking those who attacked us, and yet this is not the case. As we know, Saddam Hussein, though not a particularly savory character, had nothing to do with 9/11. The neo-cons claim surrender should not be an option. In the same breath they claim we were attacked because of our freedoms. Why then, are they so anxious to surrender our freedoms with legislation like the Patriot Act, a repeal of our 4th amendment rights, executive orders, and presidential signing statements? With politicians like these, who needs terrorists? Do they think if we destroy our freedoms for the terrorists they will no longer have a reason to attack us? This seems the epitome of cowardice coming from those who claim a monopoly on patriotic courage. The American people voted for a humble foreign policy in 2000. They voted for an end to the war in 2006. Instead of recognizing the wisdom and desire of the voters, they are chided as cowards, unwilling to defend themselves. Americans are fiercely willing to defend themselves. However, we have no stomach for indiscriminate bombing in foreign lands when our actual attackers either killed themselves on 9/11 or are still at large somewhere in a country that is neither Iraq nor Iran. Defense of our homeland is one thing. Offensive tactics overseas are quite another. Worse yet, when our newly minted enemies find their way over here, where will our troops be to defend us? From the beginning, the march to war was paved with false assumptions and lies. Senior administration officials claimed repeatedly that Iraq was somehow responsible for the attacks of September 11, 2001. They claimed that Iraq had weapons of mass destruction. They manipulated the fear of the American people after 9/11 to further a war agenda that they had been planning years before that attack. The mainstream media was complicit in this war propaganda. Nearly ten years ago, long before 9/11, I requested the time in opposition to the fateful Iraq Liberation Act of 1998, where I then stated on the Floor of the House of Representatives, "I see this piece of legislation as essentially being a declaration of virtual war. It is giving the President tremendous powers to pursue war efforts against a sovereign Nation." Less than five years later we were invading Iraq .